Water-based adhesive laminating services provide consumer and industrial products companies with a cost-effective means to produce a variety of products. 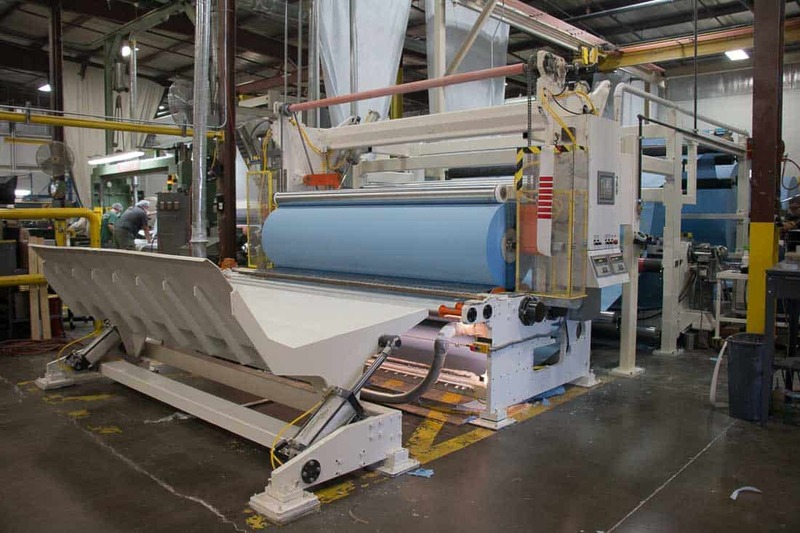 American Custom Converting (ACC), which delivers custom converting solutions across a wide range of industries, is a trusted provider of laminating services in the United States. Consumer products companies rely on ACC for high-quality adhesive laminating to marry a variety of substrates. End users benefit from the additional strength, softness and stability of two-ply constructions. Wide web adhesive laminating capability make ACC a sensible production partner for a wide range of customers. The company is capable of running widths up to 108 inches for water-based adhesives, bringing a variety of manufacturing applications and end products into play. In addition to basic paper-to-paper lamination, water-based adhesive laminating is appropriate for more sophisticated products such as drop cloths for painters, emergency blankets to retain patient body heat and other products in which a protective barrier is bonded to an absorbent layer. Contact ACC to learn how its water-based adhesive laminating services can help your product development team. American Custom Converting is a Green Bay, Wisconsin-based converter of paper, tissue, nonwovens and other substrates, as well as a provider of hot and cold lamination services, folding and packaging, aqueous coating, complete product finishing, and contract manufacturing. ACC teams adhere to Current Good Manufacturing Practices (CGMPs), supported by a dedicated Quality Assurance Manager, and are dedicated to adding value with integrity for every customer. For more information on American Custom Converting or to request a quote, go to http://www.acconverting.com/ or call 920-494-3258.